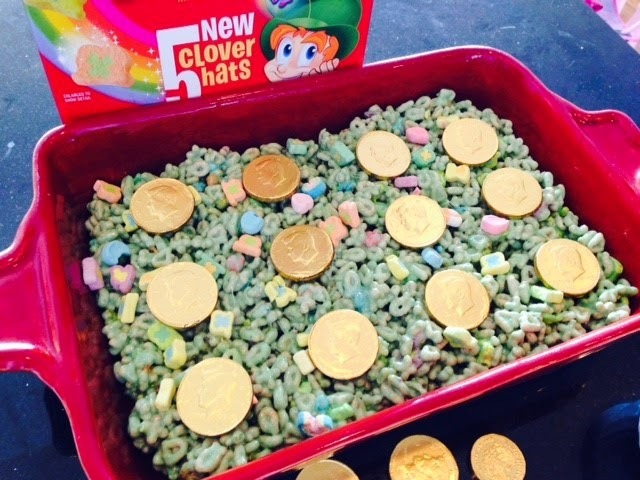 St. Patrick's Day is a day of leprechaun fun at my children's school, so we wanted to continue the fun with a way to help "trap" him...some yummy, sticky treats! 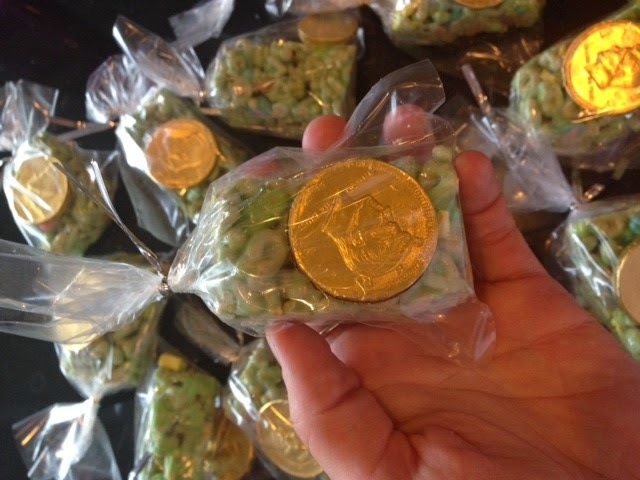 gold (chocolate) coins for decorating. 1. 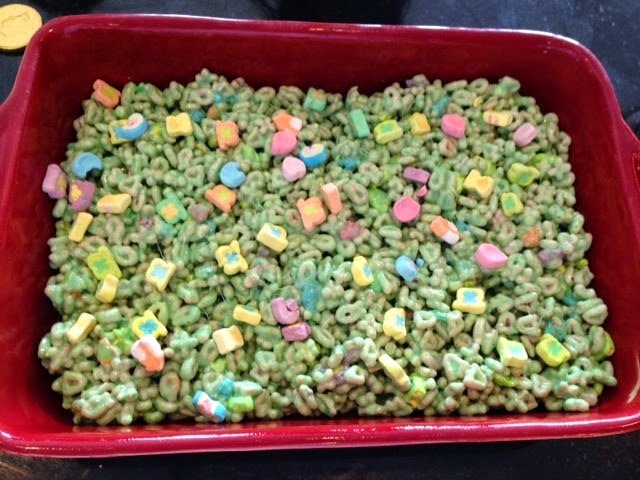 Pick out 20-30 mini marshmallows from the cereal and put aside. 2. Spray a 9x13 pan with non stick spray. 3. 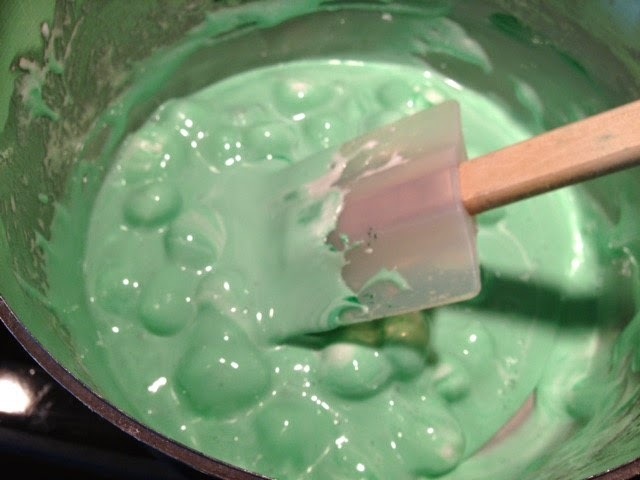 In a large pot, melt the butter and marshmallows, squeezing in 5-6 drops of green food coloring. 4. Remove from heat and add in cereal, stirring quickly. 5. 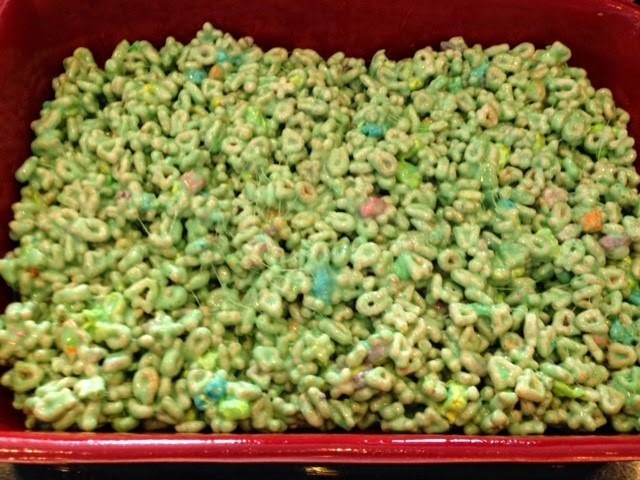 Press the cereal mixture into the pan. (Tip: Use a little non stick on your hands or spatula to spread evenly) Allow to cool. 6. 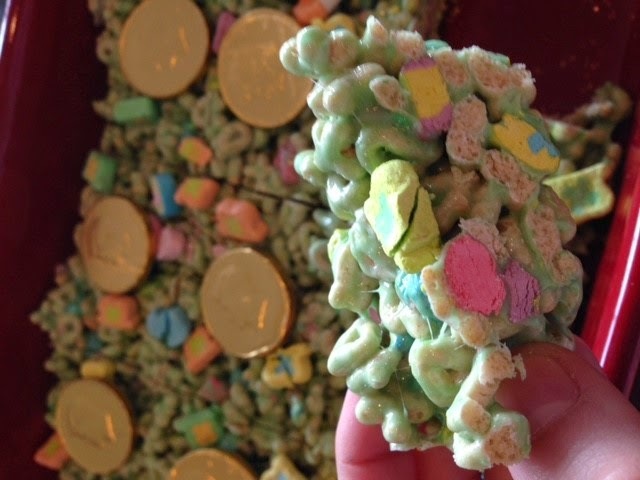 Decorate with the lucky charms marshmallows and some gold coins.